Hello! Today I’m back with a beauty post and it’s all about a brand that is new to me; Skinirvana. As the colder months roll around, my skin definitely feels the hit. I’m blessed with fairly clear, combination skin but it does definitely get a lot drier in the colder months. 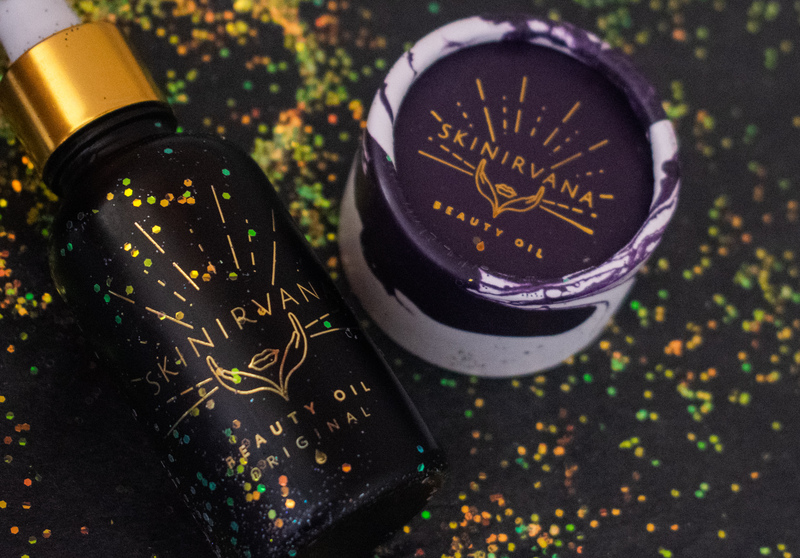 So, when Skinirvana asked if I’d like to try out their original beauty oil in exchange for this blog post- I couldn’t resist! With a delicate floral scent and extravagant glass pipette, the bottle just oozes luxury. The gold and purple colour scheme are perfectly complimentary, and an extra elegance is added by the bottle arriving encase in a marble-esque box, truly gorgeous! The oil itself sinks into the skin beautifully, and doesn’t leave behind any dreaded oily residue! It also only takes 2-3 drops to cover my entire face, so this bottle will for sure last me a very long time, which certainly justifies the £45 price tag. Combining my absolute favourite essential oil, rosehip oil, along with others that are completely new to me like juniperberry fruit oil and apricot kernel oil, every application is truly an indulgent experience. 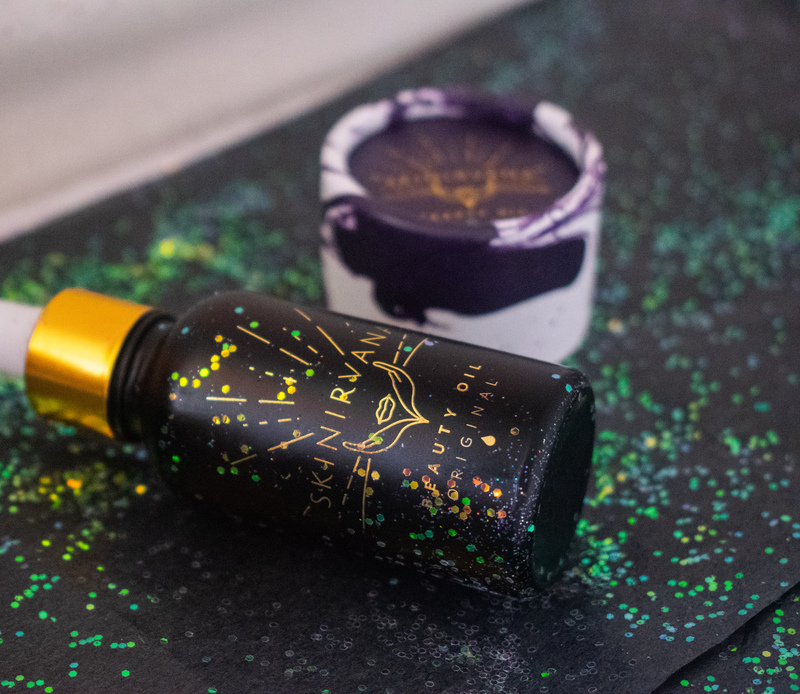 As well as having arguably one of the prettiest bottles I have ever seen, Skinirvana’s vegan formula is hand poured, cruelty free and 100% natural; exactly the type of product that I am a huge fan of! The founder of the brand, Mary-Rose Lobo, actually decided to create her own facial oil after an extremely bad skin reaction to a highstreet product. She wanted to create a product that she could safely use daily, and after opening her own salon in 2014, it’s safe to say that she succeeded! There’s also now a delicate formula, for those with sensitive or fragile skin; it can even be used on babies over the age of 6 months! It’s safe to say that the Skinirvana beauty oil has definitely made it’s way into my every day routine. It’s recommended that you warm the oil in your hands and then massage into skin in sweeping strokes, which is exactly what I’ve been doing! Although this product recommends that you use it night and morning daily, I’ve found, personally, that I prefer to just apply once a day in an evening. I did try using in the morning as well, but I prefer to use an SPF moisturiser under my makeup. I’ve found that it’s certainly been giving my skin the perfect little pick-me-up, and I’m no longer dreading the winter months when my skin gets dry now that I have my trusty saviour! What’s your current skincare favourite? Let me know in the comments! 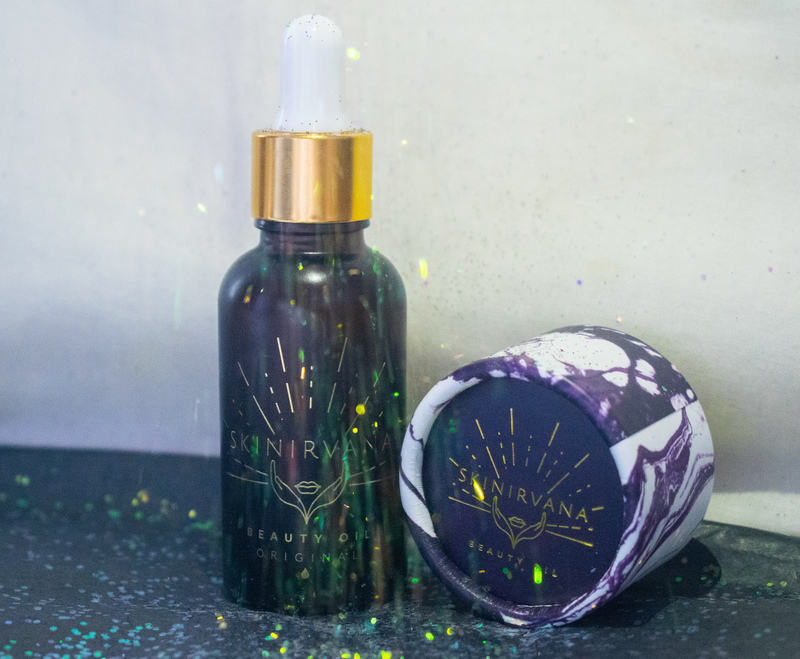 Psssttt… If you sign up to Skinirvana’s mailing list, you can receive 10% off of your order! Happy shopping! Disclaimer: The product/s featured in this post were sent in exchange for review. This post also may use affiliate links. For more information, please see my disclaimer. I’m definitely going to have to purchase some of these! Looks incredible! Next Post Weekly 2; My University Room Tour! !